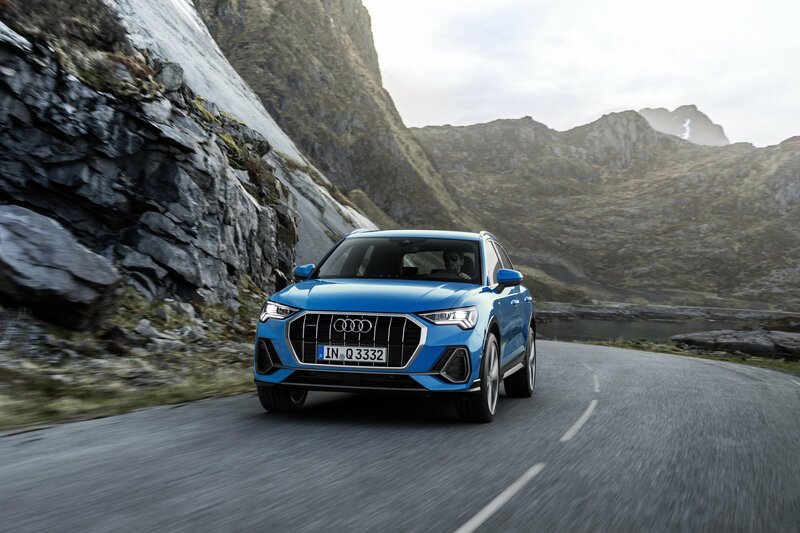 We’ve been waiting for the official reveal of the all-new, second-generation, 2019 Audi Q3 for some time. Its official reveal is set for tomorrow, July 25. However, it seems as if some impatient fans couldn’t wait any longer and decided to leak some photos a day early. While not all of the official photos have been released, and very little information, the few that have been leaked are enough to show us exactly what the car looks like, inside and out. If you’ve been a reader of ours, you know we don’t much like the outgoing Q3. It’s slow, dull and completely uninteresting, the latter of which is its worst offense. However, this new car seems to flip the script, as it looks fresh, sporty and exciting. 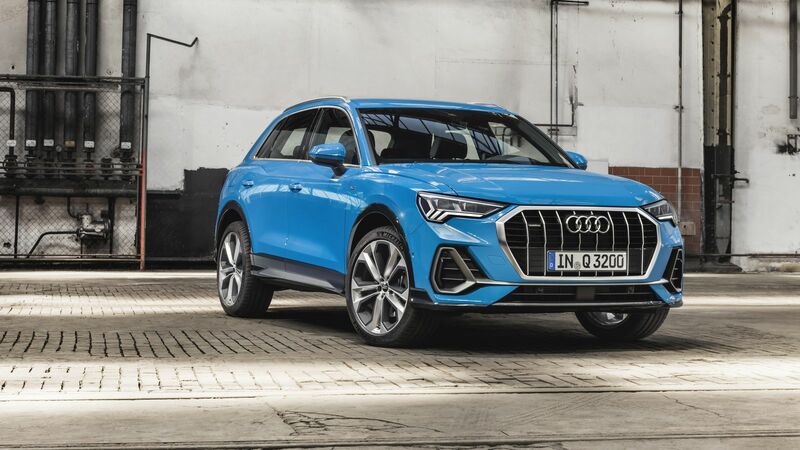 From the front, it gets the brand’s new octagonal Singleframe grille, which debuted on the Audi Q8, angular headlights similar to the Q8 and large (faux) front air intakes, which we suspect will be functional on sportier models such as the Audi SQ3. Down the side of the car, there’s a shoulder line that carries all the way through the body but swells over the wheel arches. That gives it a very muscular and sporty look, which is far better than the slab-sided styling of the previous-gen. It also gets a pretty tall side skirt, which seems to be painted black regardless of what exterior color you choose. We suspect there will be an option to make that body color as well. It sort of reminds me of the early B6 Audi A4, which had black side skirts and lower bumper portions as well. Out back, a fat C-pillar, newly slimmed taillights and a subtle roof spoiler make for an attractive rump. It’s not the best looking rear end we’ve seen on an Audi but it’s a massive upgrade over the car it replaces. Though, it still continues Audi’s infuriating trend of using fake exhausts. Seriously, Audi, stop this. Inside, things get very nice, though. 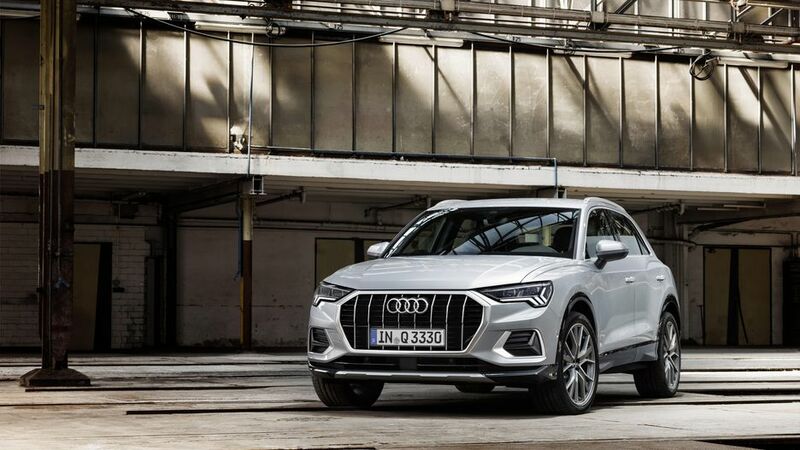 The first-gen Audi Q3 had an interior that was ancient looking a few years ago. Now it looks as if Indiana Jones should be digging through it to find some long lost medallion. This new one, though, is fantastic. It gets a massively wide MMI touchscreen with physical HVAC controls below it, which I actually like a lot better than the dual-touchscreen look of more expensive Audis. It looks more functional this way, easier to use. It doesn’t look as high-tech or as slick but, personally, it’s more my style. The trim that runs across the dash and accents the door panels seems to be made from Alcantara in these photos and that looks really cool, especially on the dash. It also gets a completely new shift lever that’s all new to Audi. 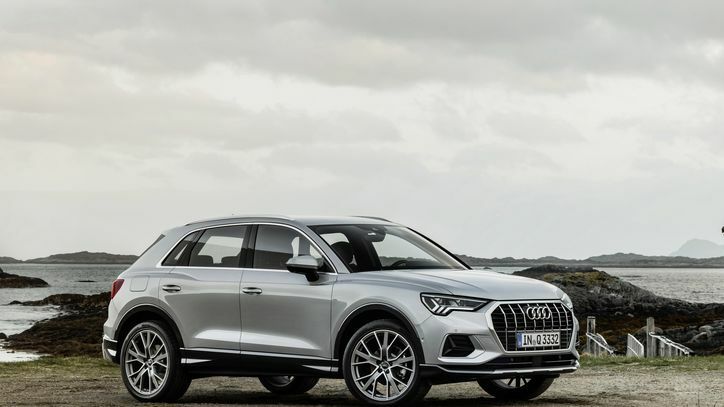 Overall, this is a nicer cabin than anything else in the segment can produce, including cars like the BMW X1 and Mercedes-Benz GLA-Class. 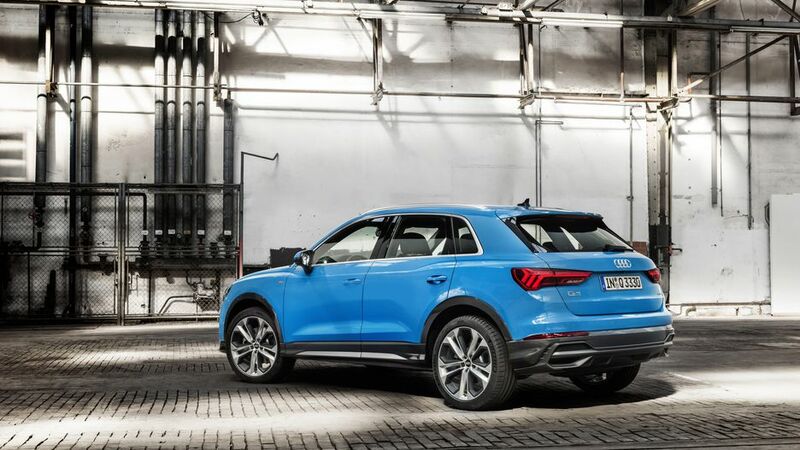 The Audi Q3 will officially be revealed tomorrow and we’ll have more pictures and information for you. Until then, check these photos out and stay tuned.